Softcover 179 pages Size 8.5"x 5.5"
A sequel to Chancey of the Maury River, this heart-tugging story focuses on Macadoo — the gentle giant of the Maury River Stables. When Macadoo is just a colt, he challenges his father — a huge Belgian stallion — in order to protect his dam. From that moment on, Mac knows that his purpose in life is to help others. From surviving a kill auction to learning how to be a vaulting horse to giving therapeutic riding lessons, Mac is always patient and never loses hope in his mission to serve others — and he finds the courage to “walk on” through even the most difficult circumstances. 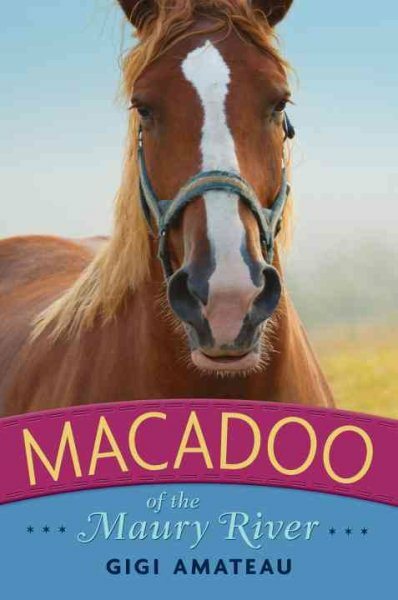 Told with insight and compassion from Macadoo’s point of view, this is a story that all horse lovers will cherish.